So say the wise words of Nile Rogers and Bernard Edwards in the über funk of their Sister Sledge creation. I’ve been able to be lost in music from an early age; transported to other realms via radio, tv or on various music systems over the years. Whilst most folks’ earliest memories may consist of sitting on loved ones knees or some such like, mine seem to consist of musical flashbacks. My earliest memory is of lying down under my mum’s ironing board, chin resting on palms, watching T-Rex on Top of the Pops. The music or the visuals (or both) must have made an impression as I can vividly recall the experience. There always seemed to be music playing in our house and my dad’s record collection was an endless supply of exciting adventures. There was the satisfying clunk as the needle on the Pioneer deck (which I have now gladly inherited) hit the groove. He used to play me Nilsson’s ‘The Point’ to get me to sleep as a toddler and I remember begging him over and over to play it to me, getting lost in the narrative and songs such as ‘Me and My Arrow’. 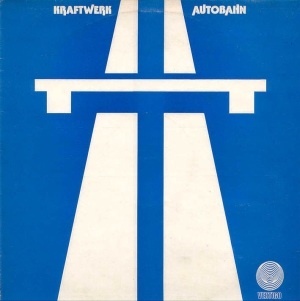 Kraftwerk’s ‘Autobahn’ was another favourite, and I used to love listening to it on my dad’s closed back Ross headphones. My little 3 yr old head was too small to fit the large headphones on, so I had to hold a can in each hand up to my ears. I was transported to a futuristic, sparkling-clean Teutonic world with gleaming cars driving through my head from one side to the other. My first record was the 7″ single of the theme from the kids TV programme ‘Rainbow’. I wasn’t so much interested in the airy ‘up above the streets and houses’ vocals but the throaty flute and guitar solos and the driving rhythm section, culminating in a fantastic solo drum fill to which I’d play air drums with my pudgy little arms. I still have that single with my clumsy attempts to colour in the rainbow on the back of the cover with felt tip pens. As I got a little older my Grandad gave me a little Phillips portable cassette deck on which I could play tapes. 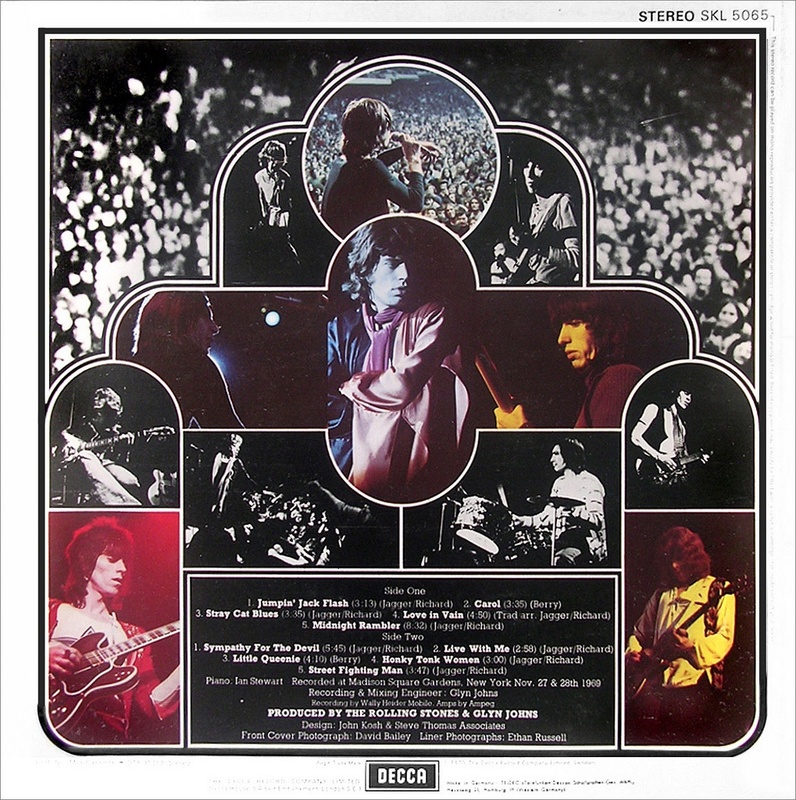 I just about wore out ‘Oh Well’ by Peter Green’s Fleetwood Mac. I was spellbound by that song and it’s conflicting sections of sparse vocals with juddery percussive interventions, screaming blues wig-outs and that beautifully played funky riff on acoustic guitar. That little deck also came with a little plug in microphone which also kindled my facination with recording (another time, another blog…) I remember having to get everyone to be quiet whist I used the microphone to record my favourite songs off the telly from TOTP on a Thursday night on BBC1. I saved my pocket money (earning extra by clipping the vast expanses of privet hedge surrounding both sets of grandparents’ council houses) until I could afford a radio cassette player. I had my eye on a Panasonic model in the window of Reliance Electrical on Babbington Lane and once I’d claimed my prize I could then tape my favourite songs straight off the Top 40 countdown on a Sunday night (cue cliche of hovering on the pause button like a twitchy fingered cowboy at high noon in order not to taint your recording with the DJ’s unctious tones…). The play button eventually worked itself free and would jump into the air making an audacious bid for freedom every time I pressed stop. I graduated to my own hi- fi set up. Not the all in one systems that were starting to come out, but a collection of separate units from the early seventies, cobbled together to form it’s own unique sound and character; the aforementioned Pioneer record deck, a Sansui tuner/amp, an Akai toploading tape deck and some nondescript speakers which where heavy of weight and of bass. The tuner/amp had a green and yellow glow to the display and you had to remember to turn the volume to zero before you turned the amp on, otherwise there would be an almighty ear-splitting ‘crack’ which would render you paralysed with tinnitus for the next ten minutes. You could probably have toasted marshmallows from the heat generated off the back grille. One day, my dad appeared from the loft with a bulging white carrier bag. “Have a look through these” , he said, ” you might find something you like”. On the outside of the bag, incongruously, was a picture of Basil Brush. Inside was about 60 or 70 old 7″ singles, mainly from the sixties. 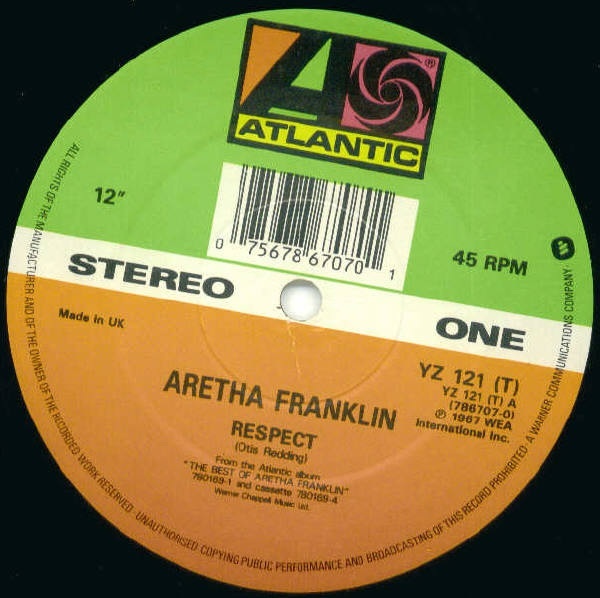 None of them had sleeves and very few had the plastic centre spindle – I had to wedge a spare spindle in each record or just place the record as central on the slip mat as best I could to play them. 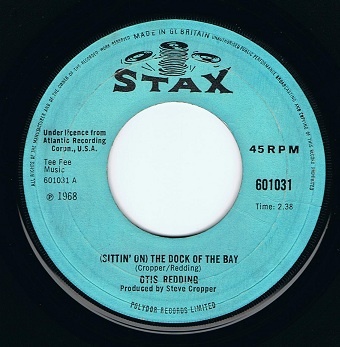 There was a variety of strange sounding names on the labels such as Stax , Atlantic, Columbia and Decca. The labels themselves were an alluring assortment of exotic colours; deep royal blue, sunshine yellow and foreboding black with silver lettering. 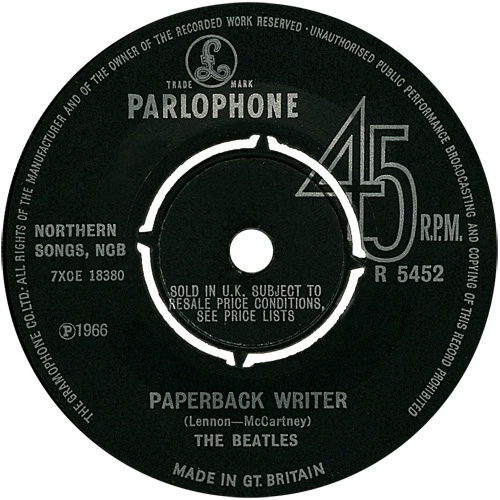 The glorious a capella harmonies at the start of The Beatles’ ‘Paperback Writer’ gave way to a killer guitar riff which, in turn, was crowned by McCartney’s whooping, swooping bass entering the fray, heralding the first verse. In less than ten seconds this perfect intro spoke more to me than anything or anyone else had before that moment. I could literally feel electricity in my fingertips as I played it. (Sittin’ on the) Dock of the Bay had this strange, lonesome, melancholy feel to it. The whole thing had an air of whistful tragedy; something tangible that I could sense, way before I knew that Otis Redding recorded the vocals shortly before his death and that he would never hear the finished record. So, there we go. Probably not an ordinary childhood, but then, what is an ordinary childhood? What is not in question is that our early years define us; whether it be socially, emotionally or, in this case, musically. I just count myself lucky that whatever I am feeling, whatever emotion, music has always given me something to turn to; to lose myself in. This entry was posted in Uncategorized and tagged Music Memories DPChallenge by leonwilson12. Bookmark the permalink. I also entered the music challenge and now I’m visiting bloggers to see how they interpreted the assignment. Your post made me smile. For every record by an American artist that you chose, I was in the States getting my fill of British performers. And then when you commented that “Respect” could transport you to the Deep South, my music was transporting me to London. Nice post! Thanks! I think the grass must always be greener on the other side of the pond (mixing my metaphors…. ), but it proves that music is universal and that it triggers the same emotions in all of us, whatever our country of origin.